Reply 'For Lord Hopeton', concerning a watery tumour, signed by Cullen and John Hope. 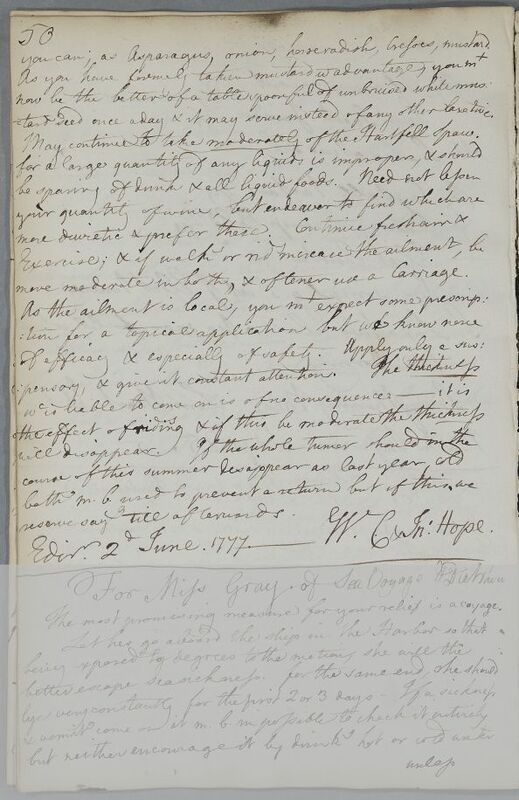 Summary Reply 'For Lord Hopeton', concerning a watery tumour, signed by Cullen and John Hope. 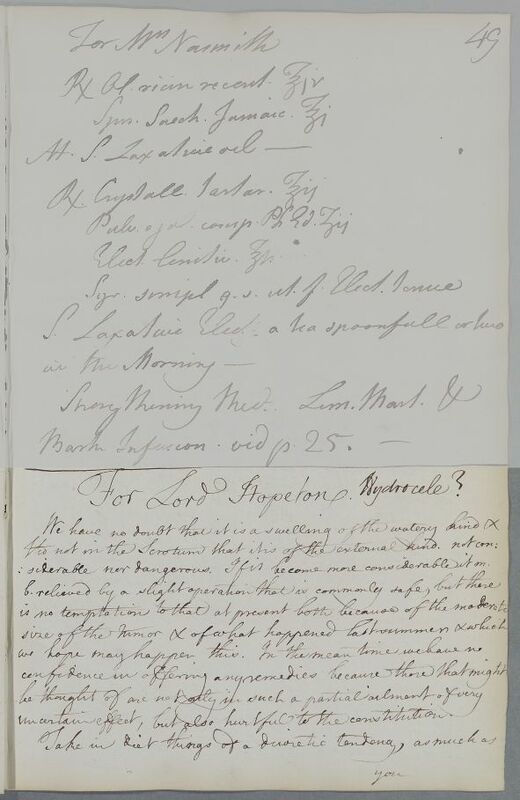 Case of John, 2nd Earl of Hopetoun, who in the 1750s reports a persistent cough and other effects of 'the Epidemic', including 'Lowness and Oppression'. In 1777 he is being treated for a recurring 'watery tumour'. uncertain effect, but also hurtful to the constitution. you can, as Asparagus, onion, horseradish, Cresses, mustard. tard seed once a day & it may serve instead of any other laxative. more moderate in both, & oftener use a Carriage. siderable nor dangerous. If it become more considerable it m.